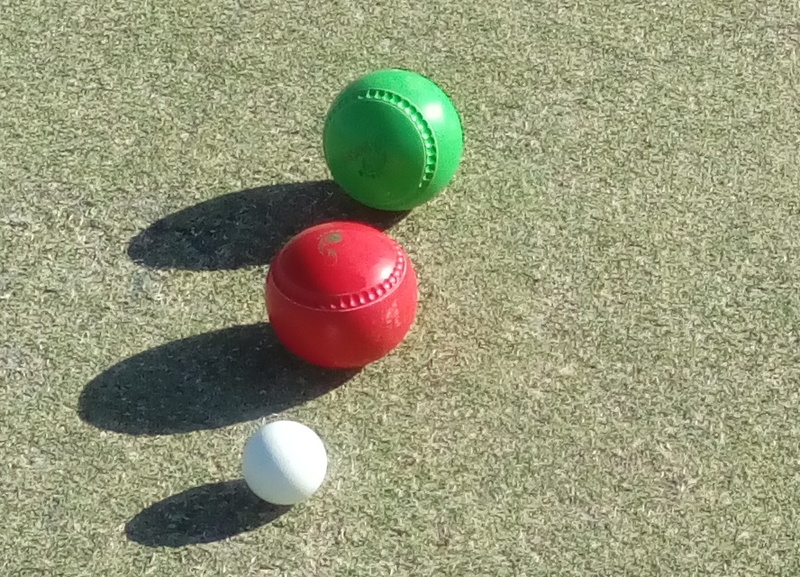 2016 Christmas Social Event – Barefoot Bowls! 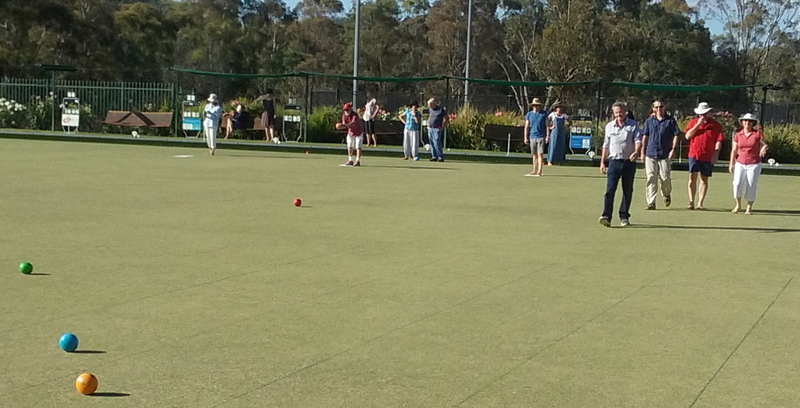 A sunny Sunday, 11 December 2016 saw about thirty members, as well as friends and families, gather at Tuggeranong Vikings Club for our 2016 Christmas social event, as the curtain-raiser for the annual Club awards presentations. Aiming to keep everyone’s feet dry, for once, Social Secretary Donna Campbell had organised an afternoon of ‘barefoot bowling’ for us. While it would be fair to say that the overall standard of bowling ranged from average to extremely average, there were occasional flashes of brilliance displayed. 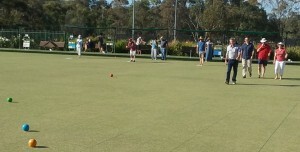 No doubt David Bale will insist that this awesome example, neatly getting inside Kade Burgess‘ bowl was one of them!